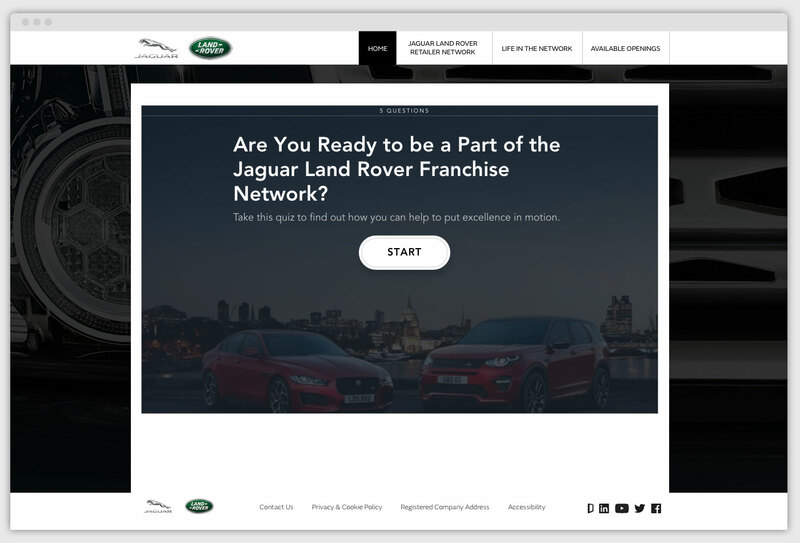 Jaguar-Land Rover UK needed a new portal to facilitate dealership recruiting. 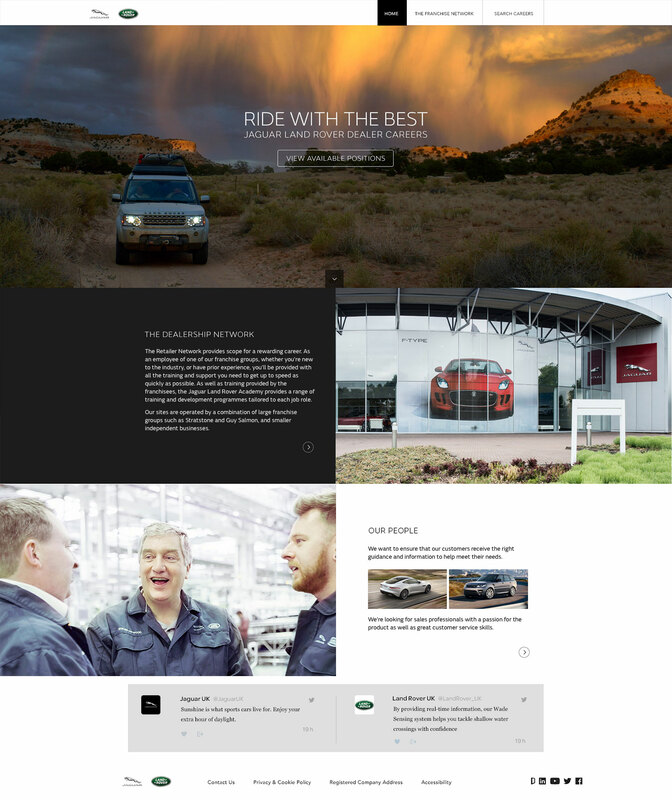 I led design and oversaw development of a stunning microsite to fill the need. 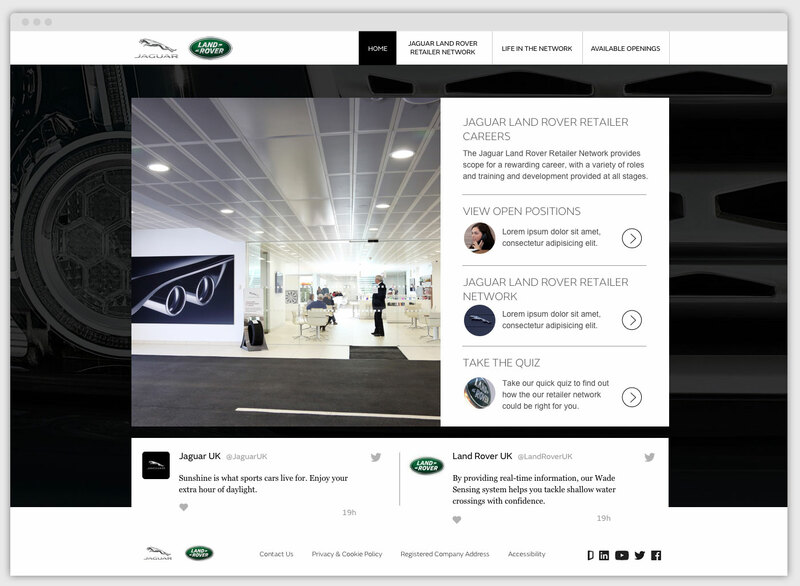 Jaguar-Land Rover of the UK needed to create a microsite that is inline with the larger brand yet able to stand alone both visually, and tonally as a as a retail recruitment center. There needed to be a delicate balance struck between highlighting the beauty elements of the brand and communicating the goals and tenor necessary to drive the right recruits to want to engage. After establishing the proper UX and visual design, we worked with Avature to help ensure the recruiting tool was seamlessly integrated. 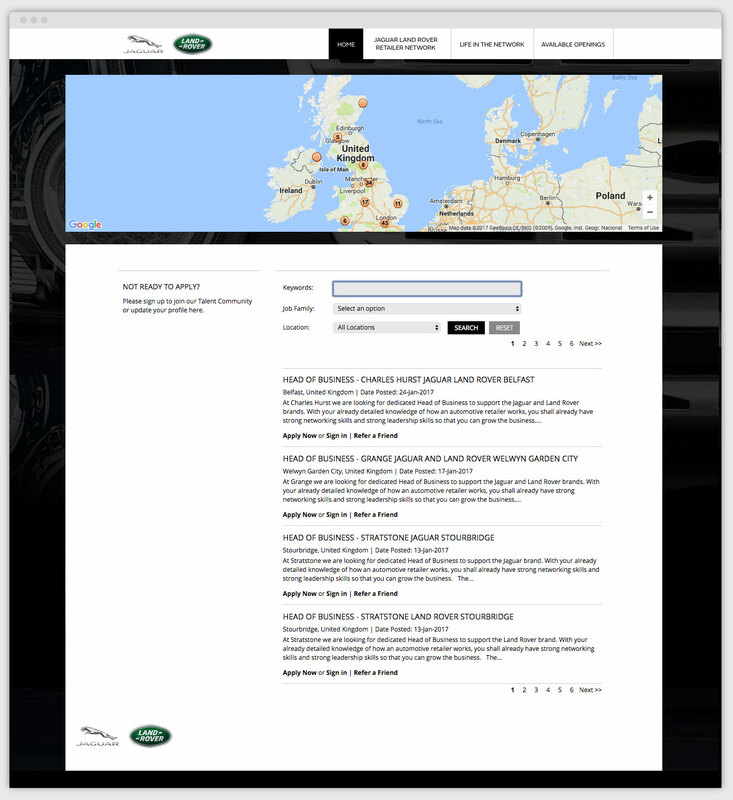 Preparing all visual elements and creating a simplified site style document to be integrated in their application.